Gary serves as The Orianne Society’s Chief Financial Officer. After completing eight years of military service during the 1960’s, he obtained his B.B.A. in accounting from City University of New York-Baruch College. Upon graduation, he joined Ernst & Young and retired after 30 years with the firm. While with Ernst & Young he served in numerous capacities as an audit and consulting partner including, among other things, as a specialist in the healthcare and nonprofit industries. He is a practicing CPA and a member of the AICPA, NYSSCPAs, and other professional and social organizations. He has presented to a broad array of professional organizations on all aspects of accounting and operating matters and has served as an adjunct professor at New York Medical College. Houston is the Director of the Longleaf Savannas Initiative. He works on various research and conservation projects, including monitoring populations of Spotted Turtles and creating habitat models for Eastern Diamond-backed Rattlesnakes. Previously, Houston completed a B.S. in biology and environmental science at Georgia College and State University. While completing his undergraduate degree, Houston worked as an Aquatic Diversity Intern for the Georgia Department of Natural Resources. He received his M.S. in fish and wildlife conservation from Virginia Tech in 2014 and continued working as a Research Associate at Virginia Tech (VT) after graduating. His research at VT focused on identifying the effects of habitat change on aquatic invertebrate and amphibian communities in ephemeral wetlands in the Florida panhandle, with an emphasis on Reticulated Flatwoods Salamanders. Houston is broadly interested in the conservation and management of reptile and amphibian populations in the southeastern United States. Brannon is the Stewardship Coordinator of the Longleaf Savannas Initiative and is responsible for Longleaf Pine restoration activities on the Orianne Indigo Snake Preserve and private cooperator lands. Brannon’s day-to-day activities consist mainly of activities associated with fire management and groundcover restoration. Brannon received a B.A.S. in natural resource management with a focus on wildlife from Abraham Baldwin Agricultural College in 2014. Brannon started working for The Orianne Society in 2009 but has previous experience as a procurement forester. He is currently working toward his burn boss status, which is recognized by the National Wildfire Coordinating Group. Brannon was introduced to fire at an early age, where he developed his particular interest in restoring the natural plant communities of the Coastal Plain using fire to mimic a once-occurring natural process that historically shaped fire-dependent plant communities within the Longleaf Pine ecosystem. Jacob is the Field Operations Coordinator for the Longleaf Savannas Initiative. He is a native of Dodge County, GA, and he attended Abraham Baldwin Agricultural College (ABAC) where he earned his Natural Resource Management-Wildlife BAS in spring 2015. He was an active member of ABAC’s student chapter of The Wildlife Society (TWS). In 2014 Jacob accepted the National Wildlife Society Club of the Year on behalf of the Student Chapter in Pittsburgh, Pennsylvania. He also attended the 2013 Southeastern Association of Fish and Wildlife Agencies (SEAFWA) and the 2015 Southeast Partners for Amphibian and Reptile Conservation (SEPARC) conferences. While attending ABAC, he was employed by the United States Department of Agriculture’s Agricultural Research Service. His primary focus was identification and data collection of various southeastern stinkbug species in cotton, peanut and soybean crops. After graduating ABAC, Jacob completed a southbound thru-hike of the Appalachian Trail from Maine to Georgia. Ben is a Field Technician for our Longleaf Savannas Initiative where is using his extensive radio telemetry experience to help monitor Spotted Turtles in the Coastal Plain of Georgia. Ben grew up at Table Rock State Park in Pickens, SC where his parents fostered a love of wildlife in him at an early age. He spent much of his childhood helping his dad and local biologists survey wildlife on the park and caring for the animals in the park’s nature center. Ben received a B.S. in biology at Southern Wesleyan University in 2011 and then went on to earn a M.S. in wildlife and fisheries biology from Clemson University in 2014. After graduation, he was hired as an adjunct professor at Southern Wesleyan University to teach herpetology. Some of Ben’s recent fieldwork involved Timber Rattlesnakes, Wood Frogs and Mojave Desert Tortoises. He also maintains a sizable collection of reptiles at home which he uses in educational programs. Some of his other hobbies include kayaking, backpacking and wildlife photography. After a childhood flipping rocks in search of salamanders in the southern Champlain Valley of Vermont, Kiley graduated with a bachelors degree in wildlife biology from The University of Vermont in 2008 and will graduate with a masters degree in biology from The University of Texas Rio Grande Valley (UTRGV) in 2016. Since 2008 he has traveled up and down the east coast working with various reptiles and amphibians for The Vermont Fish and Wildlife Cooperative Research Unit, The Orianne Society and The Vermont Reptile and Amphibian Atlas Project with species ranging from Mudpuppies to Eastern Indigo Snakes and Timber Rattlesnakes. His most recent work at UTRGV involved investigating how invasive grass species impact the threatened Texas Tortoise, but he has now returned to Vermont to work with The Orianne Society on a new pilot project focusing on Wood Turtle distribution. He also likes fish, fishing, eating fish and keeps several pretty sweet aquariums. 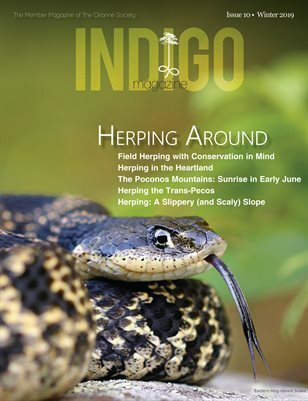 Sam Crawford is a land management technician for the Orianne Society’s Indigo Snake Preserve. He graduated from the University of Florida with a B.S. in Natural Resource Conservation in 2013.Sam has worked on many restoration projects around the lower coastal plain and has a deeply rooted passion for the protection of rare species and ecological restoration. He will be assisting the Orianne Society with restoring native habitat by using prescribed fire, herbicide application, and planting native plants. Ben Grunwald is a land management technician from Durham, NC. He graduated from the College of Wooster with a degree in biology in 2017. After graduating Ben worked in North Carolina doing stream and wetland restoration monitoring and construction. Before coming to Orianne, he spent a year in New Hampshire with a conservation AmeriCorps program doing trail maintenance and invasive species management. He enjoys hiking, looking for herps, and frisbee. David currently works as a field technician surveying for Spotted Turtles in South Carolina. David has held a passion for reptiles and amphibians since he was a boy growing up surrounded by the black water swamps of South Carolina. His father introduced him to these magnificent creatures at an early age and was instrumental in forming his appreciation for them. After attending Winthrop University where he earned a B.A. in Theatre Performance (2011), David earned a B.S. in Wildlife & Fisheries Biology from Clemson University (2016) where he also completed an M.S. in Wildlife and Fisheries Biology (2018). His Master's work focused on the effects of urbanization on frog and toad communities, specifically urban open spaces and their potential conservation value for amphibians. In his spare time David likes to play guitar, banjo, and ukulele, hike, draw, photograph wildlife, and play with his dog. Trina Wantman is herpetelogical technician for The Orianne Society. Her passion for herpetology started at a young age and continued to develop at Essex Agricultural and Technical High School in her home state of Massachusetts. She later graduated with a B.S. from Unity College, an environmentally based school with a degree in Wildlife Biology. Her passion is rooted in working with reptiles and amphibians and has worked with an array of species such as Scrub Pythons, Wood Turtles, American Alligators, Leopard Frogs, and now Spotted Turtles. In her spare time she enjoys dancing, going to concerts, and hiking. Jacob is a native of Social Circle, Georgia and a recent graduate of Abraham Baldwin Agricultural College (ABAC) in Tifton, Georgia (Class of 2018). Jacob has a B.S. in Natural Resources Management with a concentration in Wildlife. Before beginning work with The Orianne Society, Jacob worked two summer positions with the Georgia Department of Natural Resources as an hourly technician while still attending ABAC. In his spare time, he enjoys hunting, fishing, herping, and skateboarding. Javan works as an Independent Researcher under the Great Northern Forests Initiative. He grew up on the Washington coast before earning his B.S. in wildlife resources from the University of Idaho in 2007 and his M.S. in biology from Idaho State University in 2009. His graduate research examined the spatial and habitat ecology of Prairie Rattlesnakes in a mountainous landscape. Javan then worked for The Orianne Society as an Assistant Conservation Scientist focusing on multiple projects including Eastern Indigo Snake thermal, spatial, and habitat ecology, Eastern Indigo Snake and Eastern Diamond-backed Rattlesnake occupancy monitoring, Gopher Tortoise translocation, and Timber and Western Rattlesnake population ecology. Javan is currently completing a Ph.D. in Environmental Conservation at the University of Massachusetts Amherst with the support of The Orianne Society. His dissertation uses individual-based population models and landscape genetics to evaluate the population viability and connectivity of Eastern Indigo Snakes in central Florida. Javan currently works for The Orianne Society on a multi-state project assessing the population status of Timber Rattlesnakes in New England. Javan’s research interests include landscape ecology, multi-scale wildlife habitat relationships, wildlife population modeling, herpetology, and just about anything related to statistics! Javan and his family currently live in Franklin, North Carolina. Heidi Hall Is the Director of Development for The Orianne Society. She is responsible for overseeing the development and implementation of a strategic plan to broaden the reach of and raise funding for the organization. Heidi’s interests include determining and implementing effective ways to communicate the need for reptile and amphibian conservation; educating the public about the importance of these species; building strong partnerships with private, non-profit, and state and federal organizations; developing and implementing strategic fundraising campaigns; and organizing citizens to participate in necessary and useful research on reptile and amphibians that enhance The Orianne Society’s conservation efforts. She studied fisheries and wildlife management at Hocking College in Ohio where she earned a degree in fisheries and wildlife management and continued her education at the University of Idaho, studying wildlife biology, earning a B.S. in biology. Charli Palmer is the Program Manager at The Orianne Society. She graduated from Rabun County High School in 2007 and worked as a receptionist and bookkeeper for a CPA firm for eight years before coming to The Orianne Society. She is currently pursuing a degree in business administration and enjoys camping, hiking, fishing, hunting, kayaking and volunteering at local schools in her spare time.